In medium bowl, whisk together honey, ginger, garlic, soy sauce and olive oil. 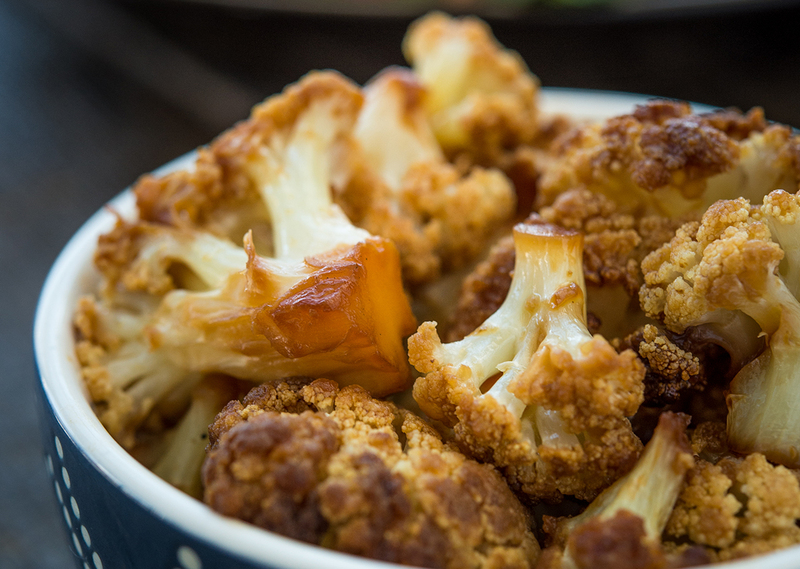 Add cauliflower florets and toss to coat in sauce. Pour cauliflower and sauce into preheated griddle plate and cook on HIGH Broil for 10-12 minutes. Tip: Serve hot with rice and favorite protein.